Anterior view of the right coracobrachialis. The deltoid and cut pectoralis minor are ghosted in. Permission Joseph E. Muscolino. The coracobrachialis attaches from the coracoid process of the scapula to the middle 1/3 of the medial shaft of the humerus. 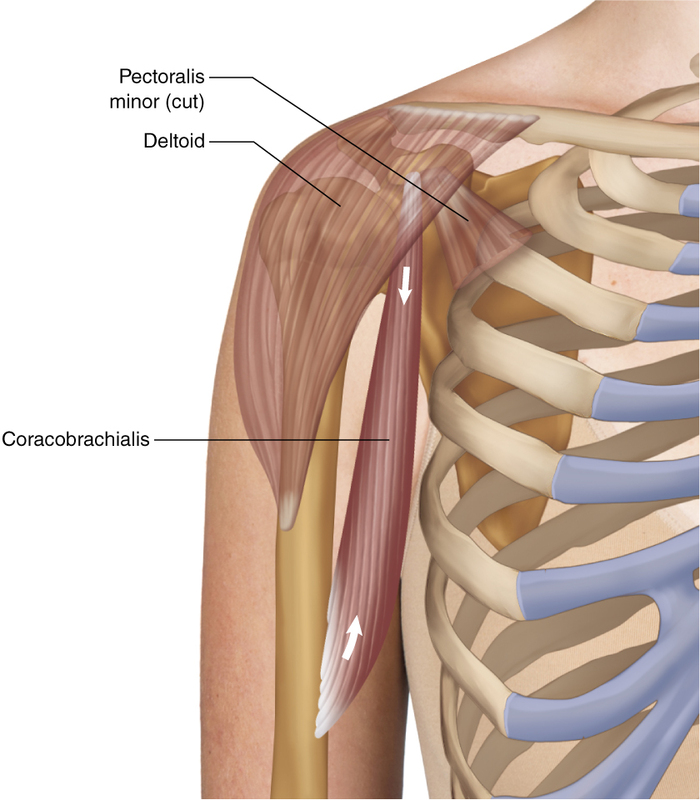 The coracobrachialis is one of three muscles that attach to the coracoid process of the scapula. The other two are the pectoralis minor and the short head of the biceps brachii.